The brew-crew has picked up a few new “toys” over the past couple weeks to update some existing systems and let the Mad Scientists get a little more creative. They’re updating quickly and operating smoothly nonetheless, led by Head Brewer and Brew House Manager Pete Dickson. Pete studied Mechanical Engineering in college and spent a few years in the field before the six-pointed star came calling. 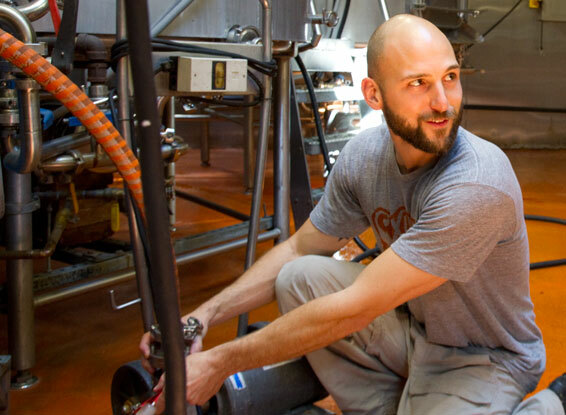 He joined Sixpoint after his passion for brewing become more than just a hobby. Pete attributes his mechanical inclination to “spending way too much time with Legos as a kid” and says that “tri-clamps and brewery sanitary connections are just another version of Lego building blocks to me.” He and the rest of the team practically treat them as such, incorporating new equipment into old systems and making frequent innovations all while keeping the sweet nectar flowing. One of the exciting shipments is a host of Willett Distillery Kentucky bourbon barrels for aging powerful brews. Used barrels can provide a number of flavors, including vanilla and oak from the wood and smoky caramel from the whiskey. Along with the barrels, the brewers picked up a nifty new Bulldog barrel racking cane, which helps to use the barrels much like they might use a keg. 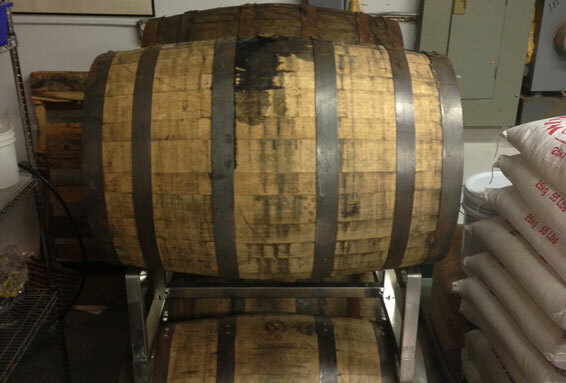 Look out for a brand new barrel-aged Sixpoint brew on tap around Brooklyn in the coming months! With a few new tools, a great crew hard at work, some engineering know-how and above all a passion for creation, the Mad Scientists’ lab just keeps getting better.